It was 1972 when Harry Edward Nilsson III told listeners to “put de lime in de coconut, you drink ‘em bot’ togedder, put de lime in de coconut and you’ll feel better, put de lime in de coconut, drink ‘em bot’ up, put de lime in de coconut and call me in the morning.” What Nilsson didn’t know was that not only was he writing a catchy song, which will stick with you forever, but that he was giving you some of the best nutritional advice around. Although many people think of limes as the lemons unwanted cousin, there truly is an inherent value in incorporating more limes into your daily diet. Like most citrus fruits, the lime is a significant source of Vitamin-C, providing nearly 32 percent of your recommended dietary allowance. Vitamin C is considered the “grandfather” of antioxidants, helping to boost immunity and limit inflammatory causing free-radicals in the body. Vitamin C is also essential to the development and repair of soft tissues such as muscle and cartilage. 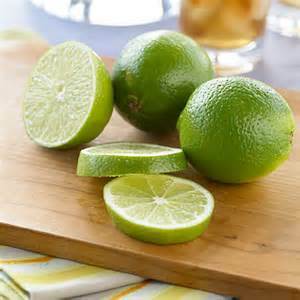 Other antioxidants provided by limes include Vitamin A and Vitamin E.
Limes also provide vitamins and minerals that are essential in supporting, and developing, healthy and strong bones. These include low levels of calcium, phosphorous, magnesium, and vitamin K. In addition to helping with bone support, Magnesium plays a vital role in metabolism (ATP production), inflammation control, DNA repair, regulation of muscle spasms (including the gastrointestinal tract), and repairing connective tissue. Recent research has even shown that magnesium deficiency has a high correlation to artery plaqueing, and is a much greater risk factor than having elevated cholesterol levels. 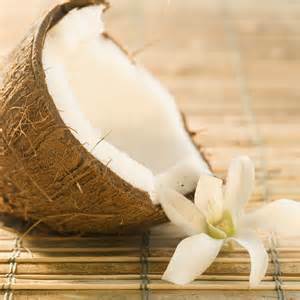 When people think of coconuts they typically think of shredded sweetened flakes, macaroons, and pina coladas. However, as research continues to amass on the many benefits of coconuts (both health and non-health related), numerous products are starting to emerge and become easily accessible on the market. These products range from unsweetened coconut flakes to coconut water, oil, milk, sugar, and flour. 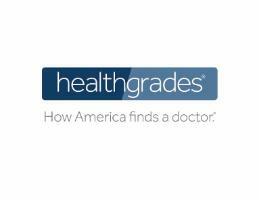 Each of these products is very different, and can be utilized in its own unique and varying application. Coconut oil is a very stable, saturated fat, which makes it an ideal option for cooking. Due to its increased stability, coconut is the only oil that will not oxidize under heat, meaning no free-radicals are formed. Contrary to popular belief, traditional forms of saturated fat are actually heart healthy, and are an essential component of cell walls. The inflammation associated with omega-6 rich “vegetable oils” is much more detrimental to our everyday health than saturated fats. Due to its ability to combat free-radicals, coconut oil is also highly valuable in combating skin damage when applied as a lotion. People that are actively “dieting” may also like to know that coconut oil, and coconut water, consumption has been linked to improved weight loss. Not only is coconut oil rich in electrolytes, without the added sweeteners and artificial ingredients of many sports drinks, but it is an excellent source of medium chain fatty acids. MCFAs are typically smaller than long chain fatty acids, found in many common vegetable and seed oils, which makes them easier to absorb by our cells. MCFAs are typically easier to digest and are shunted directly to the liver where than can be instantly converted to energy. This conversion process gives your body the fuel it needs to function without causing a spike in insulin that is often associated with grains and sugar. Lastly, coconut oil has been found to be abundant in lauric acid, a form of MCFA that is present in breast milk and thought to be one of the main sources of its immune boosting ability. The list of benefits go on and on. On a side note, while it is widely known that excess alcohol consumption is detrimental to your health, research suggests that individuals who consume no alcohol throughout life are likely to have higher levels of inflammation. 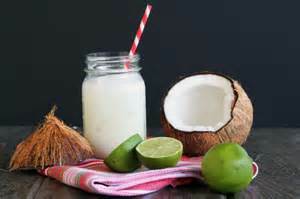 So, responsibly and within moderation, feel free to put de lime in de coconut (with a little rum) and drink ‘em bot’ up.